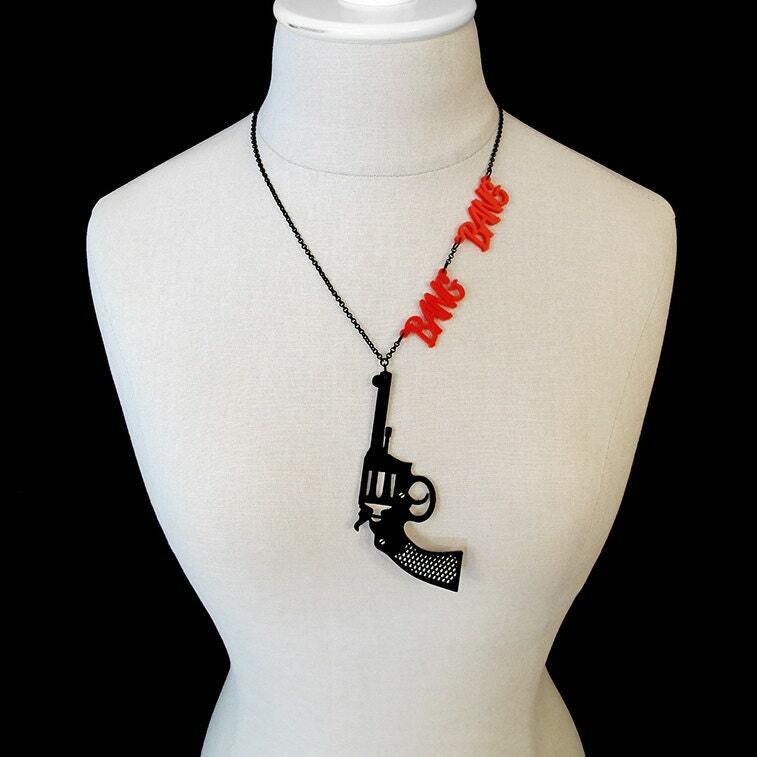 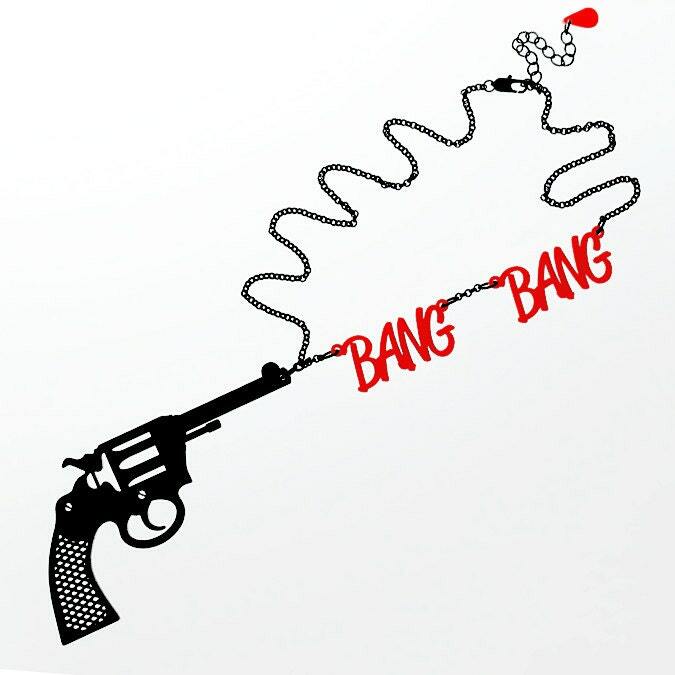 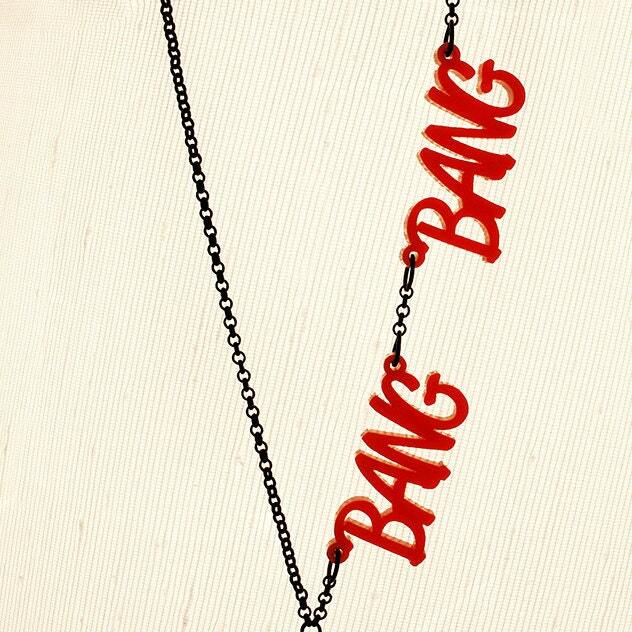 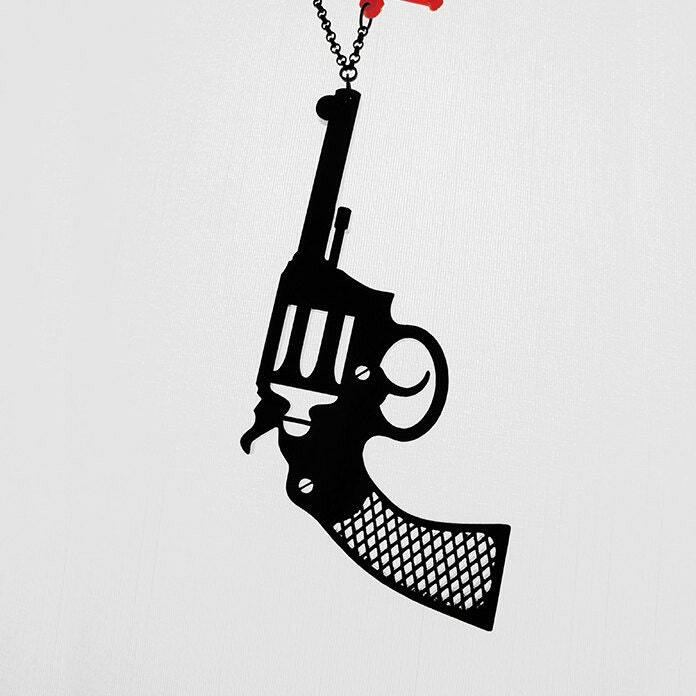 This necklace features a gun silhouette and the words BANG BANG going up one side of the chain. 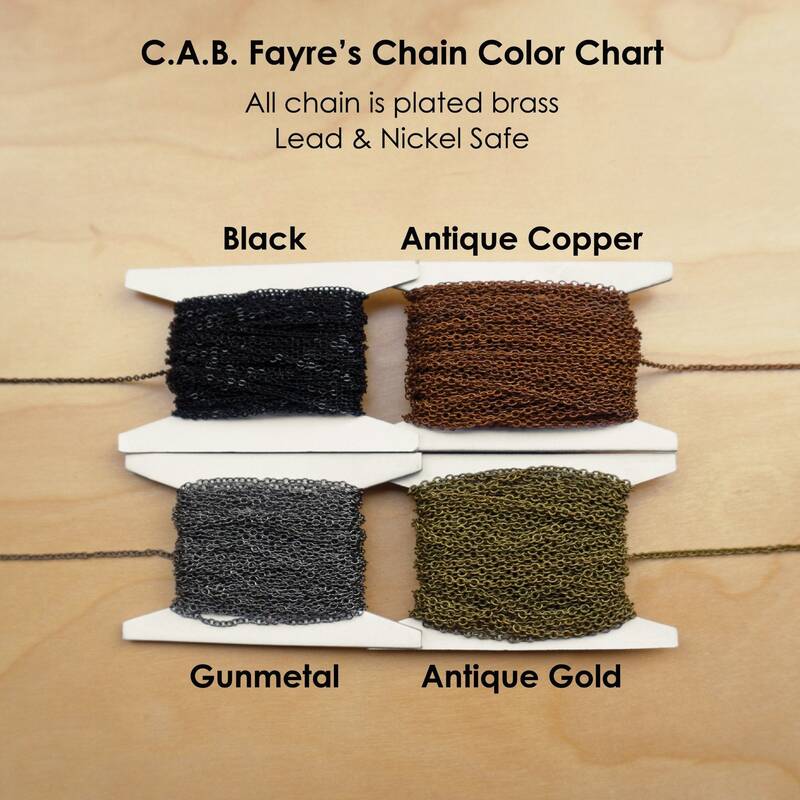 Chain Length: about 20" with a 2" extension piece making it adjustable up to about 22"
If you need a different length please let us know in the "note to seller" section of the checkout process or send us a message. 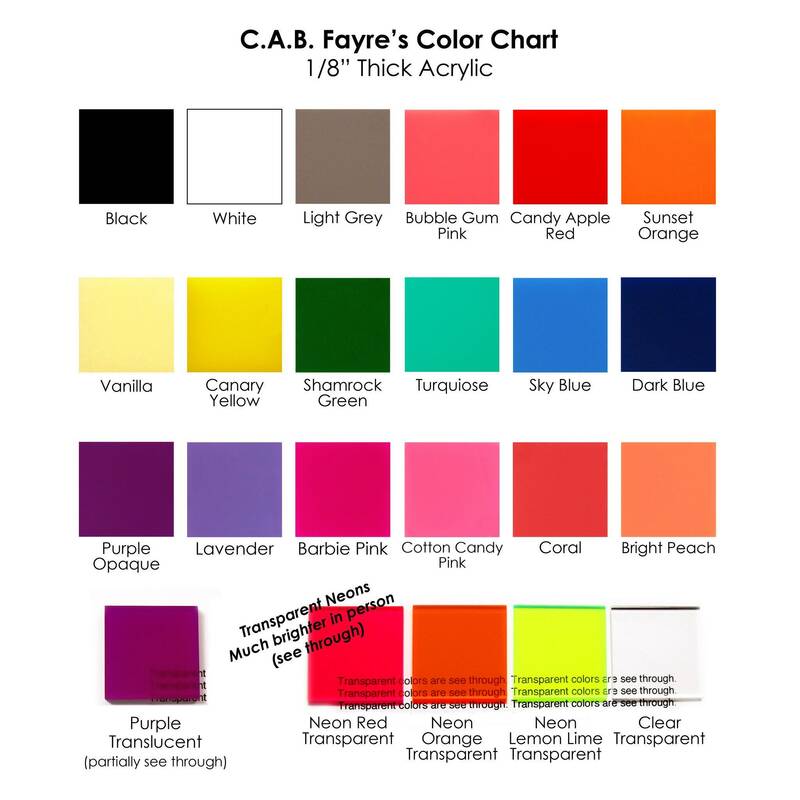 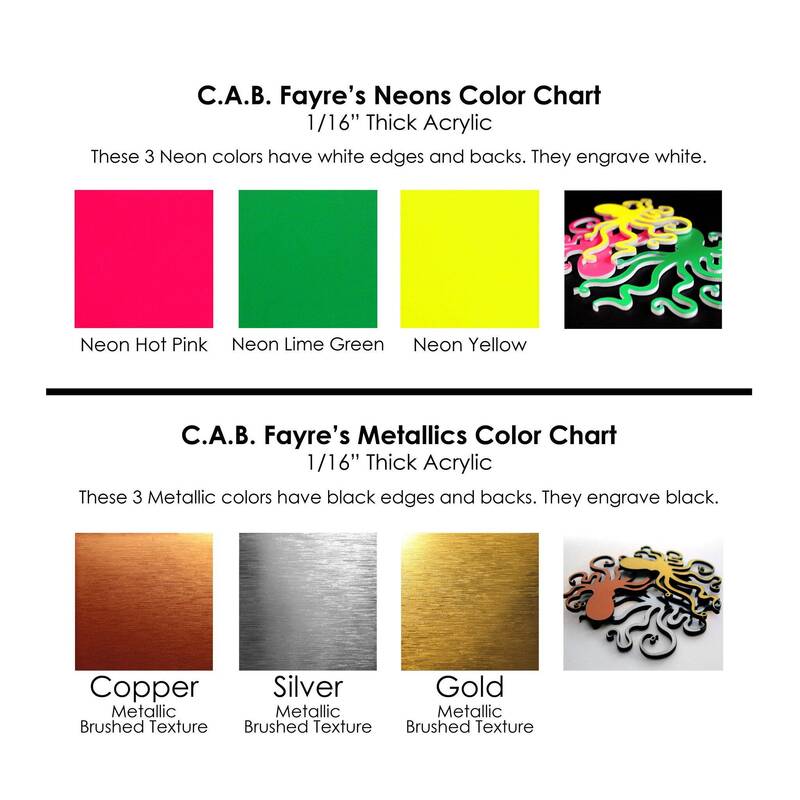 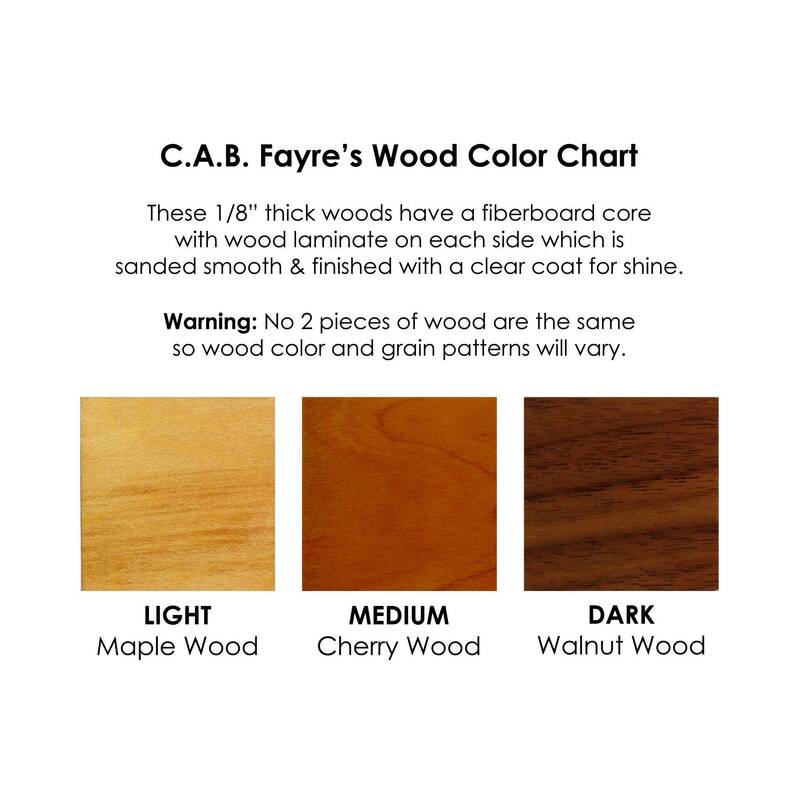 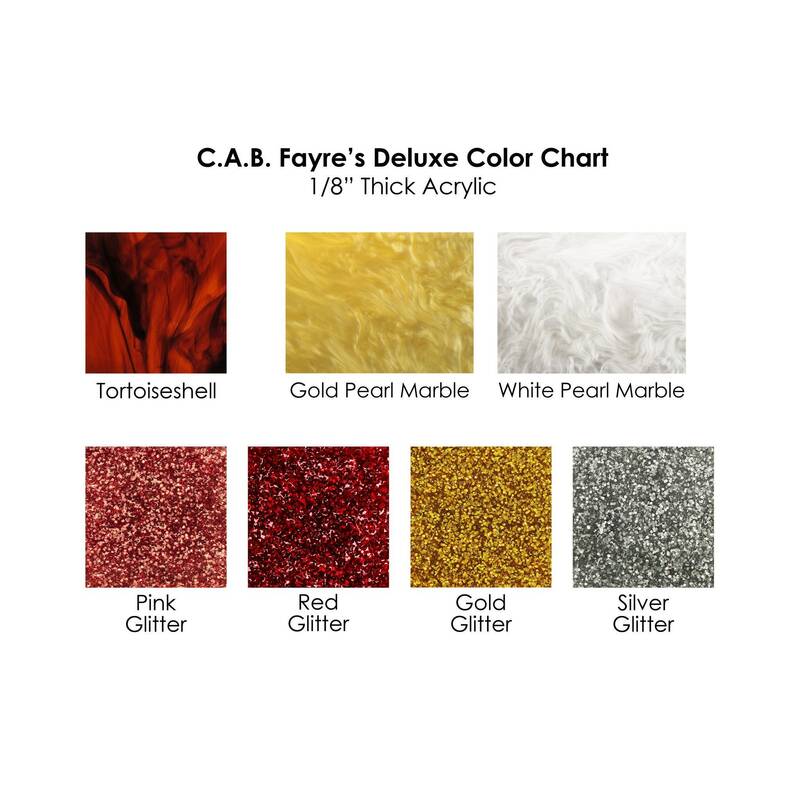 Also let us know what color chain you would like, if we don't here from you we will select a chain color for you.